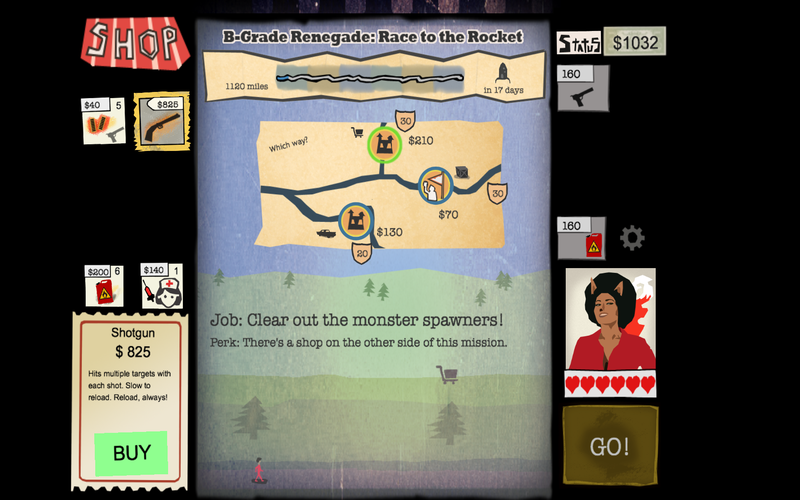 B-Grade Renegade: Race to the Rocket is now complete! Grab it for Mac today. 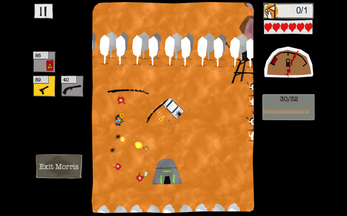 Can you reach the rocket in time to escape the Earth's last day? 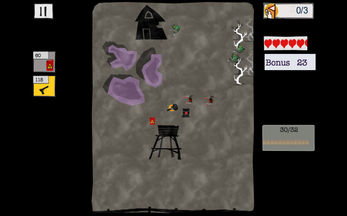 Choose your route across the country in this roguelike action game! I'd love love love to see people try to win the game on YouTube and Twitch. Procedural level generation. Every mission is different! 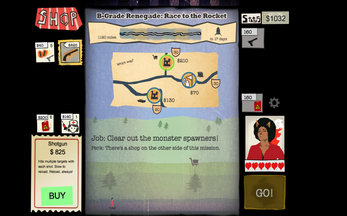 Choose your route across the country, going for the resources you need most to survive and progress! Fire mayhem! Fire spreads across trees, caused by explosions. Drop gas puddles and light them to create your own traps, but don't get burnt! Buy weapons and ammo from shops. Grab a car for protection against the denizens of the wastelands. Cars let you travel twice as far down any given route! Click in the play area to shoot. Click on weapon icons to change weapons. Press R to Reload (or tap the Reload icon). Press F to put Fuel in the car (or click Fuel icon or car Fuel gauge). Press E to Eject from the car, or tap Eject button on left. I'd love to see your comments, feedback & suggestions, so drop me a line in the discussion boards if you have some! Enjoy! 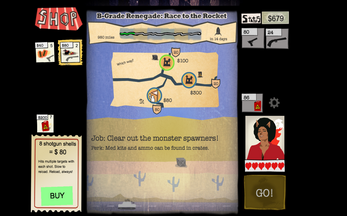 PS: You can also get the game on iPhone and Android for human dollars. 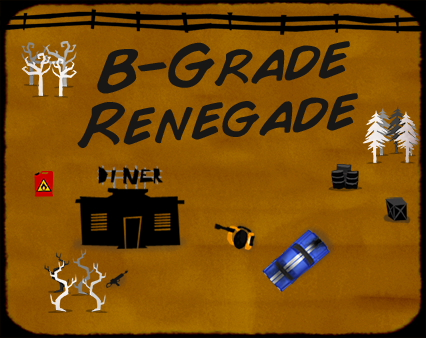 B-Grade Renegade: Action roguelike is now FREE for Mac! Grab a copy now. See if you can reach the rocket alive.